Lucky enough to be travelling abroad soon? Want to take your e-cigarette with you? This handy guide will tell you all you need to know about travelling abroad with your Personal Vaping Device, from essential travel preparations to where you can safely vape. Imagine: You land in Singapore, stroll through the streets enjoying the sights. You haven’t had a puff for some time, so you put your hand in your pocket and draw out your trusty vapestick. You breathe in, enjoying the delicious hit at the back of your throat before blowing out a cloud of beautiful vapor. But then… a heavy hand falls on your shoulder. You turn round to see an irate policeman. Next thing you know, your holiday has been spoiled with a $200 fine. As regulations on e-cigarettes vary substantially from country to country, it’s important you know the law before you travel, or you could have your e-cig confiscated, be fined or even imprisoned (an unlikely scenario). So we’ve put together this handy in-depth guide to ensure you don’t get caught out. In some countries, there are no vaping regulations, but vaping is not common and inhabitants may be taken aback to see you vaping. So vape respectfully, and be prepared for curious glances and questions when sub-ohm vaping! 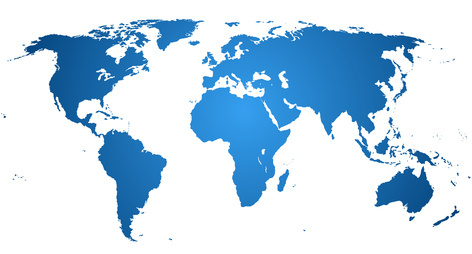 Wherever possible, we have used multiple sources to confirm each point/country in this guide, and have regularly updated guidance based on feedback from readers. However, e-cigarette regulations change all the time and it’s possible those sources might be out of date. So it’s well worth double-checking with the local authorities/tourist information before you leave. Can I take my e-cig on a plane? Most airlines allow e-cigarettes to be taken on-board in your carry-on luggage, but it’s best to check with the airline before you travel. EasyJet for instance, allow an e-cigarette with a maximum of two spare batteries to be taken on-board. Get our best advice in a compact, printable guide for a smooth, trouble-free trip! It’s not usually a problem taking small bottles of e-liquid on planes (I’ve done it many times!) as it falls under the 100 ml liquid limit. Obviously, you need to put the e-liquid in a clear plastic bag alongside your other liquids. If you have large bottles of e-liquid you should put them in your hold luggage. 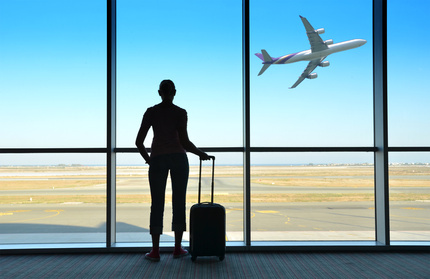 Exact regulations vary from airline to airline, so it is worth checking! Can I put my e-cig in checked luggage? Vape batteries are now banned worldwide in checked luggage, so all batteries must now be placed in hand luggage. See this post on VapeAboutIt for details. Can I charge my e-cig in the aircraft? You are no longer allowed to charge e-cig devices on the aircraft. Can I take e-liquid on the plane? On most airlines you can take a small amount of e-liquid in carry on luggage (as with other e-liquids, this has to be carried in a single, transparent, resealable bag). Larger amounts need to be taken in hold luggage. One exception is Flybe, which no longer allows e-liquid to be carried on the plane. (Source: Electronic, water vapour cigarettes in the Exceptional Baggage on the Flybe Website). Can I vape an e-cigarette on a plane? QatarAirways are one of the worst airlines – people have been arrested and had jail time for using e-cigarettes on their planes. British Airways have recently banned the sale of e-cigarettes on flights to Qatar, Oman, Saudi Arabia and the UAE, due to local regulations (which resulted in one of their crew members being detained and interrogated after being stopped at the border with an e-cig). A note for rebels – while vaping does not usually set off fire alarms in, say, an airplane toilet, it can and has happened. Obviously, this isn’t something we can recommend. How do I avoid leaking clearomisers when flying? Do note that clearomisers often don’t like the changes in pressure when you fly. It’s a good idea to empty your clearomiser before going on board. See 14 Tips to Stop Your Clearomiser From Leaking for more information. Can I use my e-cig in an airport? Sadly, things seem to be going backwards here, with many airports now not allowing vaping (although you can usually get away with it in smoking areas in countries where vaping is legal). Heathrow did used to have a vaping lounge, but they now only mention designated smoking areas on their website (leave a comment if you have experienced otherwise). Some of the time you may be asked to use your e-cigarette in the smoking area. The V2 blog points out that there is no blanket ban for (US) airports on using ecigarettes but this is likely to vary from airport to airport, so it’s best to check before you vape. In 2013, USA Today ran a handy piece with an interactive map of which airports are e-cigarette friendly, which you can find here. Can I take my e-cig through customs? Sue C had the fright of her life when security at one airport mistook parts of her ecigarette for bullets (see comments below)! Do make sure that your battery is fully charged and can be switched on as this may be required. I once had to spend 45 minutes waiting for a friend at security. He’d brought coil wire, pliers, testing equipment and more so he could build coils abroad. So think twice before putting DIY coil building equipment in your carry-on luggage! Please note that numerous people have told us that their e-cigarettes have been confiscated by Dubai airport security. This has included during transit and during departure. Can I take my e-cig through transit in a country where it is banned? In general, based on both our own experiences and feedback from readers, it not a problem to take an electronic cigarette through an airport in a country where e-cigs are banned. However, if in doubt do check with your airline. Again, things are more hopeful here. While e-cigs have been banned in a number of countries, most bans focus on sellers rather than users. In fact, when I was in Indonesia last year, I met several vapers who told me that they were allowed to import for their own use, but that the powerful tobacco lobby would not allow the devices to be sold in any scale. However, there are countries which are more extreme. Singapore, for example, levies a hefty $200 fine for anyone using e-cigarettes. (Update: One reader has reported that Singapore is now more relaxed about travellers vaping.) Some states in the US have also banned their use in parks or public places. In Hong Kong, Tobacco Asia notes that nicotine-based e-cigarettes and liquids are completely banned and could get you an incredibly hefty fine of up to $12,900, being classed as a poison – phew! For more information, see the bottom of this post for an extensive list of countries and their attitudes towards vaping. Should I remove/disconnect batteries before traveling? Yes, it’s a good idea to disconnect batteries from clearomisers/cartridges, turn off any manual batteries and take out removable batteries from mods. See our Guide to Ecig Batteries for more information. Should I take my own e-liquid? Remember, vaping may not be as well-known as it is here. Attitudes may also have been influenced by the low standards of reporting in some countries (Qatar papers once announced that e-cigarettes deliver 100 times more nicotine than tobacco cigarettes!) There’s a good chance the local tobacco industry spin doctors will have been at work too. So be patient – and make sure you are armed with the facts. You may also find that people get quite excited – I’ve had Spanish people jabbering away at me when they realised there was an effective alternative to smoking! Finally, enjoy your trip – and don’t forget to send us a photo of you lounging in your hammock with a cocktail in one hand and your ecig in the other! Have you got any stories or tips to share? Leave them in the comments below! We’ve done our best to research every country in the world. Obviously, it’s a massive task, and we’ve had to rely on secondary sources and information which is subject to change. We try to do a major update at least once a year, and minor updates as changes in legislation comes to our attention. Fortunately, feedback from hundreds of vapers and travellers have helped us to keep this page up-to-date. So, if you have any personal experience or additional information, please share in the comments below and we will update this post. In cases where the regulation has been listed as unclear, you should proceed with caution when taking your e-cigarette and any nicotine refills. It is important to note, that even if e-cigarettes are legal in a country, there may be a lack of stores from which to buy refills from, so stock up before you go! Over the years it’s become clear that just while vaping is officially banned in many countries, the regulations are often not enforced. For example, in the comments below Tony notes that in the UAE vaping is officially banned, but is increasingly popular and there seems to be no attempt to enforce the regulations. In contrast to Europe and the US, the situation in Africa is unclear, and many countries appear not to have taken a position on e-cigs. Where we’ve been able to find information we’ve put it below – if you know more please let us know in the comments! Algeria: Vaping appears to be legal, with a number of vape shops and websites operating in the country. Angola: Legal for sale and use. Benin – Legal for use. Botswana – Legal for use, with few restrictions. Burundi – Legal for Use. Cameroon – Legal for Use. Central African Rep. – Unclear. Chad – Legal for Use in designated smoking areas. Congo – Legal for Use. Egypt – Officially not legal, but many Egyptians still vape. Ethiopia – Legal for Use, though public smoking is banned..
Gabon – Legal for Use in designated smoking areas. Gambia (The) – Banned, including sale, possession, importation of both nicotine-containing and nicotine free e-cigs. Ghana – Legal for use in designated indoor and outdoor areas (essentially, you can vape anywhere you can smoke). Ivory Coast – Legal for Use. Kenya – Legal. The country has designated vape shops and vaping is growing in popularity in the country. Both devices and e-liquid have been taxed since 2015. Lesotho – Legal for use, if due to a loop-hole in the law shared by many African countries which cover smoking as legal for designated areas, but not vaping just yet. Madagascar – Legal for use in designated areas; e-cigarettes are, according to the WHO, regulated the same as tobacco products here. Mauritius – Legal for use. Morocco – Although the actual law is unclear, many vapers have reported having no problems taking e-cigarettes and e-liquid in to the country for personal use. Llewellyn in the comments told us that there is a lack of outlets unless you are in a large city, while the Vaping Post reports that there are no restrictions on e-cig use or import. Mozambique – Legal for use, regulated much like tobacco products. Namibia – Legal for use. Nigeria – Legal for use, but cannot be used in public places. Senegal – Legal for use, according to WHO. Sierra Leone – Legal for use in designated smoking areas since no laws prohibiting the sale or use of e-cigarettes exist, according to WHO. South Africa – The situation is confusing! Officially, e-cigarettes are regulated as medicines, despite a successful court appeal by one manufacturer. This particularly applies if health claims are made. Swaziland – Legal for use in designated smoking areas. Tanzania – Unclear. However, there don’t seem to have been any issues reported by vaping travellers. Togo – Legal but taxed. The usual smoking regulations apply to vaping. Tunisia – The government has a monopoly and supply, which leads to limited options. Independent vape shops exist but are often raided. Uganda – Banned including usage and importation of both nicotine containing and nicotine free vapes. Zambia – Legal for use in designated smoking areas..
Zimbabwe – Legal, though smoking is prohibited (and regulated) in public places. Local vape shops are available. At the time of writing, e-cigarettes theoretically need market authorisation before being allowed into the country, but changes to the tobacco act will make it clear that vapes can be sold as consumer products. Restrictions going forward are likely to focus on advertising, with the aim being to prevent marketing to children and restricting health claims. Although e-cigarettes are legal, their use is regulated differently by states and even cities – check before you vape. Where we have specific information on localities we have detailed them below. Regulations are constantly changing in the USA, so do double check before you go. Please note ALL federal parks have restrictions on vaping so vape carefully when visiting one; it’s a good idea to ask authorities (park rangers) before vaping when in a federal park or landmark. In addition, many states are now choosing to ban the use of e-cigarettes indoors, and in some places regulations have put it in place which are effectively forcing the closure of some vape companies. Most states insist vapers must be over 18, although some go further in setting the age limit at 19 or 21. Alabama – No state law prohibiting use, with some establishments choosing to impose a ban on e-cigarettes. Vapers must be over the age of 19 to purchase electronic cigarettes. Alaska – Legal, though some localities ban use indoors. Vapers must be over the age of 19 to purchase electronic cigarettes unless accompanied by a parent or legal guardian. Currently, some communities have banned use indoors for places of “public accommodation” (restaurants, bars, etc.). Some have also banned use in vehicles when children are present (secondary offense – cannot be the primary reason for police to pull you over). Many communities have banned use in government buildings and on some government owned or leased properties, especially Maricopa County (county contains the state capital, Phoenix, and most of the surrounding cities). Arkansas – Legal although prohibited on school district property. California – Legal but some with localities (inc. parks and other public places) choosing to ban use. Minimum age is 21. Vaping is prohibited within 25 feet of playgrounds, public places and pretty much anywhere else legislators can think of. Colorado – Legal, but prohibited on school district property. Connecticut – Legal but prohibited everywhere legislators could think of and in 75% of motels. Delaware – Prohibited in places where smoking is banned and in Foster homes. E-liquid taxed at 5 cents per ml. District of Columbia – Prohibited in workplaces and public places including playgrounds, public places and sporting events. Vapers must be over 21 to make purchases. Vaping goods are taxed at the same rate as tobacco. Florida – Not permitted in fifty foot of courthouses, or in cars when a minor is present. Georgia – Prohibited for use by food employees while at work (except for designated areas). Hawaii – Not for use by under 21s. Prohibited all over the place including enclosed or partially enclosed places that are: owned, leased or operated by the state or counties, open to the public, places of employment, sports arenas/stadiums, and within 20 feet of entrances and exits to such places. Also banned in or near some public housing. Idaho – Legal for use. Illinois – Legal but prohibited on higher education public campuses. Some taxes depending on area. Indiana – Legal for use. Iowa – Legal except in state operated buildings. Kansas: Legal, but e-liquid taxed at 5 cents per ml. Kentucky: Legal but prohibited on properties owned by the executive. Louisiana – Legal except on school grounds, but e-liquid taxed at 5 cents per ml. Maine – Legal but forbidden in most places where smoking is not allowed, including certain indoor public spaces, places of employment, day care/babysitting facilities, motor vehicles with children under 16, and certain outdoor areas including eating areas and near beaches, state parks and historic sites. Maryland – Vaping is banned indoors (vape shops are exempt). Tax levied (30% of wholesale price). Proposed legislation may increase the legal age of usage to 21 and ban usage in smoke free workplaces. Massachusetts – E-cigarettes can be used in Massachusetts, with the exception of locations and establishments in South Hadley that fall under the ‘smoke free’ workplace law. Michigan – Legal for sale and use. Minnesota – Legal but prohibited in schools, day care facilities and government owned or operated businesses. Taxed at 95% of wholesale price. Mississippi – Legal although restrictions vary according to municipality. Missouri – Legal, though some establishments ban indoor use. Montana – Legal for sale and use. Nebraska – Legal for sale and use. Nevada – Legal for sale and use. New Hampshire – Legal for sale and use, but prohibited on school district property. New Jersey – Current ban in place for use in indoors and workplaces with a potential ban on use in beaches and parks. A bill has been passed regarding banning use in public which would mean users may be fined between $250 – $1000. New Mexico – Legal for sale and use, but prohibited on school grounds. New York/ NYC – NYC have passed a bill that states electronic cigarettes are no longer allowed to be used in any place where smoking regular cigarettes is prohibited, which includes many outdoor areas. Vapers must be over the age of 21. North Carolina – Legal for use and sale but prohibited on school grounds. Taxed at 5 cents per ml. North Dakota – Legal. Vaping fall under smoking regulations which means it is prohibited in and around public buildings. Ohio – Legal for use and sale, although prohibited in certain establishments. Oklahoma – Legal at time of writing, but prohibited on state property and land. Minimum age of 21. Pennsylvania – Legal for use, though there is a ban on the use of e-cigarettes in public places including bars. Taxed at 40% of wholesale price. Puerto Rico – Legal but banned in public places. Rhode Island – Legal but prohibited on school grounds. South Carolina – Legal but a ban on vaping in public places is being considered. South Dakota – Legal for sale and use. Tennessee – Legal for use, though banned in some institutions. Texas – Currently allowed in places where smoking is, though laws has seen the sale of “tobacco products” including vaporisers and e-liquid to those under 18 explicitly banned. Minors caught vaping must attend an E-Cigarette and Tobacco Awareness Program or do community service. There are restrictions on vaping in a number of places where children are present. US Virgin Isles – Legal for sale and use. Utah – Banned in public places, and vapers in Utah are legally prohibited from getting any of their vape supplies from online. Vermont: Vapers must be over the age of 19 and vaping is banned on school grounds. West Virginia – Legal where smoking is allowed. Washington: There is a ban on the use of electronic cigarettes in public places in King County, where Seattle Washington is located. Oregon – Legal, though subject to the Indoor Clean Air Act and prohibited in state agency buildings, on state agency grounds and in public parks. West Virginia – Legal except on school grounds. Tax levied on e-liquid at $0.075 per ml. Wisconsin – Legal for sale and use. Wyoming – Legal for sale and use except in childcare facilities. Antigua and Barbuda – Sale is banned, but it’s legal to vape. There are numerous restrictions on use; for example, it is illegal to vape within 30 meters of any doorway, operable window, or air intake mechanism. Bahamas: Legal for use and sale. Barbados: Legal for use and sale but banned in public places. Belize: Legal for use and sale. At the time of writing Belize is considering introducing legislation that will ban vaping in public places. Costa Rica – Regulated as tobacco product. Use forbidden in enclosed public places and on public transport. Cuba – Unclear. Some travel forums suggest that there’s no problem bringing vapes in but there can be problems taking them back out again. Dominican Republic – Nicotine containing e-cigs only allowed with a medical prescription. Honduras – Minimum age of use is 21. Use is subject to tobacco control laws, and it is illegal to vape in public places. Mexico – Nicotine containing e-cigs are banned, and the regulations for nicotine free cigs are unclear. Many vapers have reported no issues in regards to taking e-cigs though customs for personal use, while others have reported their vapes have been confiscated. Nicaragua – The sale of e-cigs is banned. Legal for use but prohibited in enclosed public places and public transportation. Panama – The sale of e-cigs is banned. Legal for use but prohibited in enclosed public places and public transportation. Trinidad – The sale of e-cigarettes is banned. Argentina – Import, manufacturing and sale is banned. Legal for use but banned in public places. Brazil – The sale of e-cigs is prohibited, but you can’t vape in public places or on public transport. Chile – As of October 2017 e-cigs are treated as a medicine pending a ‘resolution’. Ecuador –Legal for use but banned in public places/transport. Falkland Islands – Legal for use and sale except on government property and surrounding grounds. French Guiana – Regulations are unclear, but there is at least one online seller. Guatamela – Legal for use and sale. Guyana – Banned for sale. E-cigs can not be carried in checked luggage, and there are numerous restrictions on usage – probably best to assume you can’t vape anywhere you can be seen! There are large fines for vaping in these places. Paraguay – Unclear, although readers report vaping without any issue and there are a number of sellers. Peru – Legal for use and sale and there are several vape shops to choose from. Suriname – The sale, distribution and importation of e-cigs are banned. Uruguay – Does not allow sale or importation or use in public places. This includes both nicotine and nicotine free vapes. Some readers have reported vaping there without any issues. Venezuela – Legal for sale and use. Can not be used in enclosed public spaces. Afghanistan – Legal. Supplies are limited and army personnel report stocking up before going to the country. Bangladesh – Legal for use and sale. Brunei – Legal for use only. Sales and imports are not allowed, and are punishable with fines. Forbidden for use in public places, with fines of $300 for the first offence and $500 for subsequent offences. Cambodia – Banned. People have passed through customs with their e-cig with no problem, but it’s best to check before you travel. China – Legal for sale and use, but regulations can vary depending on the region. Sale and possession of e-cigarettes containing nicotine seems to be illegal in Hong Kong, although there is some contradictory information. India – There’s plenty of confusion over vaping regulations in e-cigs. However, sales of e-cigarettes are banned in the states of Karnataka, Kerala, Punjab, Jammu, Kashmir, Mizoram, Maharashtra, Haryana and the Union Territory of Chandigarh, and Bihar, and a Punjabi shopkeeper was sentenced to three years in jail for possession of a cigalike and eight cartridges. However, vapes continue to be available online. Further legislation has been proposed that could lead to a country wide ban on e-cig sales. Indonesia – Originally officially banned, the situation has become even more confusing as the country has officially put a heavy tax on vaping. Personal use is not a problem and you’ll find vape shops in some cities and in Bali. Japan – Nicotine containing e-cigarettes are treated as a medicinal product. Vapers are allowed to import up to 100ml of nicotine containing e-liquid for their own use. There is no issue with nicotine free vapes. Jordan – Sale use is banned. Kyrgyzstan – Legal for use and sale. Tax proposed for future. Laos – There does not appear to be any current laws regulating vaping, but vapers who have been to Laos advise keeping a low profile. Some supplies are available. Malaysia – Nicotine is classified as a poison, and nicotine containing e-cigs can only be sold by licensed pharmacies and medical practitioners. Non-nicotine containing e-cigs are regulated as electrical appliances. Travellers have reported being able to vape in places where smoking is allowed. Mongolia – There are no clear guidelines, but some travellers report being able to vape and that there are some limited vape supplies in the country. Myanmar – Legal for sale and use. Nepal – Sale prohibited. Use banned in enclosed public places and public transportation. North Korea – Appear to be legal. There’s an amusing story here about a North Korean guard who first thought an e-cig was a bomb before offering to exchange cigarettes for the device. Pakistan – Legal for use and sale. Philippines – E-cigarettes are considered a medicinal product, and sales are restricted. Vaping is forbidden in public places and on public transport. Singapore – Illegal to buy, use and possess. Vapers can be fined up to SGD5,000. South Korea – Legal, although heavily taxed. Banned in public places and on public transport. Sri Lanka – Flavored, colored, or sweetened e-liquids are prohibited. Taiwan – The Health Ministry has put a ban on e-cigarettes, but this is not codified in legislation. New legislation is set to ban the manufacture, import, sale and advertising of electronic cigarettes. Thailand – Banned for import. Penalties for bringing e-cigs in can include jail time or fines. See Steve’s comment below for more information or the Foreign Office update on travel to Thailand. Reports on using them in the country vary but with stories like this and this it’s really not worth the risk. Syria – Unclear. However, e-cigs are sold online in the country. Tajikistan – E-cigs are legal for use. Some restrictions on sale. Vaping is forbidden in most public places. Turkmenistan – Legal for use; importation and sale is prohibitted. Uzbekistan – Legal for sale and use. Legislation to prohibit vaping in public places has been drafted but is not law at the time of writing. Vietnam – The sale, use and importation of electronic cigarettes is illegal. The law is widely ignored and there is a flourishing black market. There is no restriction on the importation, sale, possession or purchase of e-cigarettes without nicotine. Nicotine is classified as a Schedule 7 poison therefore in all states it is illegal for retail sale unless a permit has been issued. A Schedule 7 poison does not usually justify an import prohibition. However, in certain states and territories, obtaining, purchasing, possession and/or using nicotine without a permit is an offence. New S. Wales – No regulations on buying and possessing products containing nicotine. Cannot be used in public places, some outdoor areas and in cars with children, with fines of up to $550. N. Territories – Permit is required to possess nicotine. Queensland – Nicotine is classified as a regulated poison, and the sale of e-cigs is prohibited. S. Australia – The sale of e-cigarettes is banned. Tasmania -The sale of e-cigarettes is banned. Victoria – The sale e-cigarettes is banned, and vaping is prohibited in smoke free areas. W. Australia -The sale of e-cigarettes is banned. Fiji – Legal for use and sale (with restrictions). Use banned in public transportation and some enclosed public places. New Zealand – After years of debate, vaping is finally legal in New Zealand. This includes sale and use. Paulau – Legal for sale and use, with a minimum age of 21. Papua New Guinea – Legal for sale and use, but prohibited in public places and workplaces. Samoa – Legal for sale and use. Europe is currently in a state of flux. 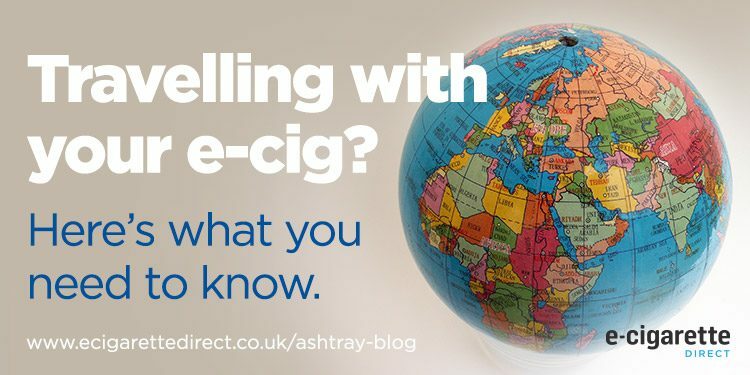 In theory, every country in the European Union should now be applying the Tobacco Product Directive – you can find these laws explained here. EU laws are supposed to harmonise regulations, but in practice the interpretations of the regulation varies in every country, with implementation varying from liberal to draconian. What’s more, at the time of this update some countries are still behind in their implementation of the regulations. Albania – Electronic cigarettes and personal vaporizers are legal. Andorra – Legal for sale and use. Armenia – Legal for sale and use. However, there are reports the government is planning to ban vaping. Austria – The use and sale of e-cigs is now legal, but there are bans on vaping in public places and anywhere tobacco is prohibited. Azerbaijan – Legal for sale and use. Belarus – Legal for sale and use. There are plans to bring vaping under the same regulations as tobacco. Belgium – E-Cigarettes are now legal, but forbidden in public places and on public transport. Bosnia & Herzegovina – Legal for sale and use. Bulgaria – Legal, although vaping is prohibited in some public places. Croatia – Croatia has transposed the EU TPD, which means that e-cigs can now legally be bought in the country. Vaping prohibited in some public places. Cyprus – Legal, but e-liquid taxed at the rate of 12 cents per ml. Prohibited in some public places, on public transport and in cars when a minor or pregnant woman is present. Czech Republic – Legal for sale and use. Denmark – Legal for sale and use. Estonia – Legal following court challenge. Finland – Legal, but as nicotine is considered a prescription drug it is illegal to sell cartridges or e-liquid containing nicotine. However, cartridges with less than 10mg of nicotine and e-liquid with less than 0.42g of nicotine can be legally imported for personal use. One reader from Finland has pointed out that there are lots of zero nicotine e-liquid for sale and that no-one seems to have a problem importing it for personal use. Update: From January 2017 all e-liquid flavours other than tobacco will be banned, and you will not be able to order mods or e-liquid over the net. France – Legal for sale and use. Use in public places is restricted. Georgia – Vaping is currently legal, but forbidden in public spaces except for establishments created specifically for smoking, such as cigar bars. Germany – Electronic cigarettes are legal for sale and use. Greece – Legal, but usage is banned in many places including public areas and on public transport. E-liquid is taxed at 10 cents per ml. Hungary – Legal for sale and use. E-liquid is taxed at the rate of 70 Forints per ml. Iceland – E-cigarettes are legal, however cartridges and refills containing more than 0.9mg of nicotine are illegal. See E-liquid containing nicotine banned in Iceland. Italy – E-Cigarettes are not restricted. However, e-liquid is taxed at 0.393 euros per ml (likely to rise as this is linked to the price of cigarettes). Latvia – Legal for sale and use. E-liquid is taxed is 0.01 euro per mL with an additional tax of 0.005 (ish!) euros per 1mg of nicotine. Liechtenstein – Legal in designated smoking areas. Minimum age of 16. Lithuania – E-Cigarettes are legal. Luxembourg – E-Cigarettes are legal for sale and use. Prohibited in certain public places and in vehicles where a child under the age of 12 is present. Macedonia – While the legal situation is unclear, readers report that they have had no issues vaping anywhere you are allowed to smoke. You may struggle to find good e-liquid, though, so consider taking a supply of e-juice with you. Malta – Electronic cigarettes are permitted, but are considered a tobacco product therefore cannot be used in enclosed public spaces. Use is prohibited in public places and in vehicles where a child under the age of 16 is present. Moldova – Legal for use and sale. A vape tax has been proposed by the government. Monaco – Unclear – but Leonardo DiCaprio has been spotted vaping there! Montenegro – Legal for use and sale. E-liquid taxed at the rate of EUR 0.9 per ml. Netherlands (Holland) – Legal for use and sale. Norway – The sales ban on e-cigs was lifted in 2016, but vaping is banned in places where smoking is prohibited. Poland – Electronic cigarettes and permitted. Vaping is prohibited in some public places and public transportation. Portugal – Legal for sale and use. Vaping is prohibited in some public places and public transportation. Romania – Electronic cigarettes are legal for sale and use. Vaping is banned on public transport. Russia – Vaping is currently legal. There are plans to tax both devices and e-liquid, but this is not likely to come in for some time. “The sale of e-cigs is not banned in Russia, we have some big retail networks. But, single-use e-cigs are banned, although they are still sold in a lot of places. If you’re going to Russia, google “Vardex”, they have some good liquids. Regarding usage: it’s still shady, so if you’re in a restaurant or a cafe, you should ask if you can use your ecig. As far as I can tell, it’s okay to vape in bars and some places that provide “steam cocktails”. “Steam cocktails” are basically hookahs, but without tobacco, they use stones instead. Serbia – Legal for sale and use. E-liquid is taxed at RSD 4.06 per ml. Slovakia – Vaping is legal but is prohibited in public places and on public transport. Slovenia – E-cigarettes are permitted but cannot be used in public places where tobacco cigarettes are banned. Spain – Legal. However, e-cigarettes are banned in the majority of public places (not always enforced! ), and the sale of e-cigs may shortly been banned online. Sweden – With the implementation of the tobacco products directive, it is now legal to purchase e-cigarettes and e-liquid. Switzerland – E-Cigarettes are permitted, but the sale of nicotine containing cartridges and e-liquids is not (the last update we can find on this was July 2016). Importation for personal use is allowed however. As of 2017 the government is consulting on whether to change the law, and the sale e-cigs is likely to become legal in the future. Update from Oliver in the comments below: import for personal use is subject to a maximum of 150ml (no limits on nicotine level). See here for further detail. Turkey – As of June 2018 the law on usage is still unclear. The Ministry of Health has issued a circular stating importation of vape products is illegal, another law states vape products are to be treated as tobacco while yet another law mentions tarrifs on vaping. Ukraine – E-cigs in Ukraine are legal. They mostly fall under the same laws as regular cigarettes, and can not be used in places where smoking is banned. (See the Facebook comments below this post for a full update from Богдан Поветьев). There’s even a Ukranian Vape Week! United Kingdom – Electronic cigarettes are legal to use indoors and outdoors. After seeing off challenges from the Welsh government to introduce a ban on flavours and vaping in public places, the UK now has some of the most tolerant regulations on vaping in the world. See more on UK regs here. Bahrain – Legal for use, but sale, importation and distribution banned. Prohibited for use in public spaces. Dubai – One of the worst in the world – numerous travellers have reported mods being confiscated when passing through! Iran – Unclear. There seems to be little action or even awareness of vaping in official circles, but it is starting to take off in the country. Take supplies, though – both hardware and e-liquid can be pricey. Iraq – Unclear, though sources mention the expansion of vape shops throughout Iraq and some vapers have used e-cigs there with no problems. Loose lithium batteries can not be shipped (but are allowed if they are installed in the device you are to use.) There seem some limited sale in the country, suggesting there won’t be a problem with use. Israel – Plans to implement a ban have not been put in place, and both vape shops and vaping are growing in Israel. There do not appear to be any current regulations on vaping. Kuwait – The sale and marketing of e-cigs are banned, although some vapers report being able to import e-cigs for personal use. Lebanon – The sale of e-cigs is banned. Oman – The sale of e-cigs is banned. Qatar: The sale, distribution and marketing of e-cigs has been banned and several people have been jailed for vaping on Qatar Airways. Update: More recently it seems Qatar is confiscating e-cigarettes on arrival, but allowing people to claim them back when they leave. Saudi Arabia – Banned; some users have recently noted that e-cigarettes can be brought in with no issues, though selling (and purchasing) e-liquid is illegal. United Arab Emirates – Banned for sale and use. Yemen – Unclear, but vape products are sold on-line and in-store. Poll: Would you change your vote to defend your right to vape? Hi Helen, we don’t have this in a pdf, I am afraid. If it’s helpful we can create one for you. Austria: the classification as medical product has been lifted. In bigger cities you can buy everything you need. Great news! I have updated the post with the info. Helo. Can I have the link where it states officially that the Ban has been lifted. A couple of weeks ago I was in Yeovil’s Frankie and Benny’s and was shouted at by the manager who told me that a very clear sign outside said that e-cigs were banned within the restaurant and tried to get me to put my ecig away which I refused saying I wasn’t using it. I went outside and this “clear” sign was a very faded “No Smoking” sign and in almost unreadable tiny letters underneath it, it mentions e-cigs, the sign is white with very very faded red printing on it, you can just about make out its tobacco statement and I asked several people if they could see anything banning e-cigs on that window and all missed the sign about smoking and underneath the unintelligible sentence about e-cigs. Needless to say I won’t be frequenting there again or any F&B’s because of the actions of this manager, it wasn’t as if I was leaning over some kiddy blowing vapour over their dinner but just sat there not using my device and got treated quite poorly. I travelled to Canada two years ago. I had some Boges in a box in my handbag, along with some vaping kit. All was well until my hand luggage went through the scanner at Toronto Airport. Suddenly I was surrounded by security asking me to explain the bullets in my luggage. I was so shocked I could hardly talk to explain. I stammered out that I had given up smoking and these were part of my electronic cigarette. Luckily I had an Instruction Manual with me. They still checked up on Google and I was allowed to board, but I can tell you I had the fright of my life! I now tell Security that I have electronic cigarette devices in my bag and that some people have mistaken them for weapons and that I’d be glad to show them what it is and answer any questions. In Gatwick, a lot of Security people vape themselves so there isn’t usually a problem there. Phew! That’s good advice, Sue, I’ll have to incorporate that into the guide! Hi james ill be travelling soon to india..i will just be passing and ill be joining a vessel there.. ill be carrying with me around 800ml of eliquid coz ill be at sea for months.. it will be on my checked in luggage.. can you please advice me if there would be a problem.. ill put the batteries in my carry on bag but my 2 vv mods in my check in bag also. Hi Bryan, I am sorry, I don’t have any additional information over than that in the blog post. I had a similar (bit not quite as confrontational) experience at Dabolim airport, Goa, India last year. I had batteries & a couple of small ecigs in hand baggage, but the mech mods & larger regulated mods were in the hold baggage. Probably fortunately, they X-ray suitcases before you part with them, so at least I was saved the humiliation of being called to security to explain myself. They seemed concerned I had some pipe bombs in my suitcase, so I had to dig out every offending article (along with chargers to explain the wiring in there) & demonstrate their innocence. They were fairly civil & reasonable, but digging around for everything and then frantically trying to put it all back & close the (snugly filled) case in front of a couple of hundred people at 3am wasn’t the best of experiences. In future, I’ll try to take fewer mods, pack as much as possible in hand baggage and make sure everything is easily accessible in case I get collared again. Serbia – legal. Public vaping treated as smoking, so don’t vape where smoking is prohibited (so parks, streets and most outdoors are ok). Shops for liqids and equipment are scarce, especially outside he biggest cities and offer is limited. hi!… I’m portuguese, and I don’t find it difficult at all to buy nicotine refills… the number of e-cigs shop are increasing by the day, and all of them sell e-liquids with nicotine. regarding public vaping, while there is still no legislation, most of us are adopting the same rules applied to tobacco. Thanks for the update, information has been added! Legal in El Salvador and Guatemala. Source I live here, I can vape in restaurants and wherever I please. In fact, in El Salvador you can get an ID from the medical community that that explains vaping as a form of smoking cessation, and won’t harm those surrounding you. That’s very forward thinking! Thanks for the info. Ireland – ecigs are now banned on all forms of public transport within Ireland (Republic). 1) Belgium : I wouldn’t say “treaded as tobacco cigarettes” since tobacco cigarettes can be sold in any kind of shop in Belgium. “Sale of nicotine free divices and nicotine free e-liquids is legal. Cartridges and e-liquids containing nicotine need a medical licence and then would have to be sold only in pharmacies – no cartridge or e-liquide has been granted that licence. However personal use of cartridges and e-liquids containing nicotine is legal. Their importation (physical or online) for personal use is legal too. “Some of those countries belong to the EU (European Union). By 2016 those will have to apply the EU regulations that were voted in 2013 and 2014 by the European Parliament. Or else, you could have a category “European Union countries”, starting with the above paragraph, and another category “Other European countries and Russia”. 3) Regarding laws, sale and use are 2 different things in many countries in the world. In general on this page, I think making a systematic difference between te two would be helpful (whenever the info exists of course). I.E. “Sale and use banned” / “Sale banned, use legal” / etc. Thank you for your detailed comment, Fran. I’ve made the changes to the Belgium page. Regarding the EU legislation, there are a couple of points to be made. 1. Much of the legislation at current is very general and needs to be fleshed out by civil servants. Our own trade organisation, ECITA, is actively seeking a role in this. 2. Via ECITA, we are also vigourously challenging the legislation. So in that regard, I think it’s worth waiting and seeing what happens. We’ll have a talk here about whether to change the general classification, but we are putting together an interactive map so it’s really helpful to have that suggestion now to mull over! They are not banned in Turkey. Only the sale of them in shops, but there is no problem buying them over the internet. Altough vaping is not completely banned in Turkey, it’s officially forbidden to import vaping devices and liquides even for Personal use. Your internet order may be confiscated or returned if it is inspected at customs. Order at your own risk. Importing and selling E-cig is banned in Turkey (even on internet but there are some websites where you can buy at your own risk) Vaping is only banned at public places. Thanks for the info, Yunos. Just curious but have there been actual cases of people fined for vaping in open air situations in the USA? The Queensland state government bans smoking in many outdoor public places and as of next year the same rules will apply to vaping, given the ‘low smell’ and rapid dispersal of e vapor I really doubt that such a ban could be enforced in practice (least without a lot of policing resources being diverted from more important matters). Hi John, Not sure, we’re UK based. The best people to ask would be the CASAA folks. I’ll post a query on the FB page. Thanks be interested to hear more. Pragmatically I find it a bit hard to believe that many would notice a (reasonably discrete) vapor in a park and other similar situations. While the pirated DVD movie can be easily bought at shops and supermalls , even thou there is clear regulation by law which protecting copyright , …. So who will care about vaping banned here ? Just dont vape on the non smoking areas will okay , because some peoples may not knowing that vaping is not smoking . Two years ago when I was in Indonesia I was told by a friend who worked in customs that people were being allowed to import for personal use and for friends, but not for sale. But I do hear now that shops are starting to spring up, but my understanding is that they are not totally legal. You can buy the cheap little pen style /cartridge ecigs with nic in NZ. Certain head shops also sell nic eliquid. Technically there is a ban on their sale yet a company called Hydro seems to have gotten around the law and has been selling nicotine based Ecig products for years now. I would still recommend bringing your own since the price is ridiculous. For example a 10ml bottle of liquid is $30 NZD ($25 USD aprx) and $25 NZD for 5 prefilled cartridges. Of course you can easily import your own if you are here for awhile. Brilliant, thank you for letting me know. Hi Buk, I haven’t heard of anything changing recently. Hello! I will fly to hongkong this weekend is it okay if i bring my mod with me? Just an update on the current situation in Australia. Western Australia is currently waiting for a landmark court case that has reached the Court of Appeals. This case is important to determined the future of ecig usage in Australia. There is not (yet) a ban on e-cigs in Indonesia. The health authorities have been mulling a regulation since the WHO came out with their recommendation for countries to restrict them. Since it is still a relatively smoker-friendly society, vaping in public is really a non-issue. It’ll get you at most a curious stare. The health authorities have been rehashing the ‘it’s not safe,’ ‘contains chemicals’ stuff from the WHO/anti-vaping crowds as expected, and even talked of bringing in a ban at some point, but there is still nothing atm. It is neither illegal nor legal, just not yet regulated. Hi Alaksir, my information was based on three things. I discussed with the British embassy in Indonesia (although that’s going back a few years), an Indonesian vaper and someone in customs, all told me that it was officially banned but permitted for personal use. Of course, things may have changed since then? Hi James. Understood, but your sources may have misinterpreted the negative pronouncements of some of the local health and drug control officials about e-cigs in the media, all of which sourced from the usual suspects (WHO, US FDA, CDC, etc. ), to mean that there is officially a ban on e-cigs in Indonesia. That is not true. For example, here’s one of the latest local media hit pieces about e-cigs, quoting a BPOM (Indonesian government’s food and drug agency) official: https://translate.google.com/translate?hl=en&sl=auto&tl=en&u=http%3A%2F%2Fbali.antaranews.com%2Fberita%2F64738%2Fkandungan-logam-berat-ditemukan-di-rokok-elektronik. The official is repeating the usual scare stories about metals being found in e-cig vapor, battery overheating, etc., but is also saying that “…the Health Ministry is still studying e-cigs before issuing a regulation on them.” In other words, they don’t know what to make of e-cigs yet. Given the fast rise in their popularity here, I think a ban is unlikely, although the possibility can’t be ruled out. But as stated by a previous commenter, a ban like that would probably just be ignored by the people. Thanks, Alaksir, I have heard that vape shops are starting to open, although I thought that, like in some countries, they might not be strictly legal. We have an update of this post planned for the spring so will try and do some more research then! while Brunei is banned theres a lot of Bruneians vape and theres a lot of people selling vape items and technically if you vape in open area you will not be fined. theres certain places where you cant vape such as inside a restaurant, public places where there are childrens, etc. Thank you, JeeSunKyu, we’ll be updating this post before the holiday season and information like this is really useful! of 2015. In most parts of the country the use of tobaco cigarettes in restaurants, pubs and other public indoor places is not allowed. Also on the outside railway platform it is prohibited. For e cifarettes you have to ask. E Cigarettes and liquid with nicotine is avaliable in some shops. With nicotine you have to be min. 18 years old. Thanks for the information, Berhard. Just to add to the railway platform comment: On each railway platform there is a small smoking area, where vaping is perfectly ok. Its officially regulated by Deutsche Bahn and can be read on an info poster at the train station: smoking and vaping ecigs only allowed in the smoking areas. Generally for Germany: Whereever you are allowed to smoke (generally anywhere in the open and nowhere in a closed public place), you can vape as well. Liquids are currently easily available and somewhere between affordable and cheap, but the future is unclear as for any other EU country (shame on you EU and TPD). Let alone in the Nuremberg area, I could name 5+ dedicated vape shops that sell liquids, bases and any other equipment required. Readily mixed liquids are available up to 18 mg/ml, bases up to 36 mg/ml (and probably also in higher concentrations when ordering online – at your own risk when processing them). Please can anyone help me? I’ve been searching websites and I’m unable to find the information I need. From Heathrow I am travelling to Perth on a Qantas flight changing in Dubai. After Perth I travel to Sydney again with Qantas. Eventually I travel to Honolulu with American Airlines and fly back to Heathrow via British Airways. I have an e-cigarette which is re-chargeable and has no liquid. Please advise if I can carry this on these airlines and if so, if I should put it in my carry on luggage or my luggage that goes in the hold. I can’t see any problems. While you are not allowed to use ecigs in Dubai, I have never had any problems when passing through there. Australia does not allow the sale of ecigs with nicotine, but allows the import of them for personal use. Ecigs remain legal in the USA. Lithium ion batteries usually need to be kept in carry on luggage. 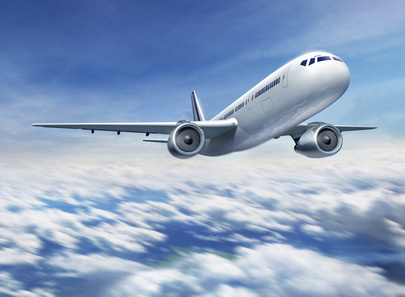 I am travelling from Heathrow with Qantas Airways, American Airlines and British Airways. I have a non-liquid e-cigarette which I would like to take with me. Please can anyone help where I should carry the e-cig, in my luggage in the hold, in my hand luggage in the plane or in my handbag? I realise I won’t be able to use the e-cig on the planes! Very many thanks for your reply. You’ve certainly cleared up a few of the queries I had. I have been reliably informed that inhalators can actually be used on board a plane, although they don’t give such a good ‘hit’ as a cigarette, they can reduce the craving. I have not had any real problems at any Australian airport- have had a few ‘what is it’ questions. The security is there primarily there for, security, I am told that it is wise to make sure that any battery is charged so that you can demonstrate that it is a battery (and not something else) if needed. I also normally disassemble the main components of my ec-cig and put them in the same transparent bag as other similar things go in- openness is best. Many thanks for the very useful info John. I think actually using a e-cig on a plane is ‘not permitted’ ( although on long flights, when the ‘lights are out’ it is hard to see how anybody would know- especially if you get a window seat). Vaping on a plane could carry serious consequences – people vaping on Qatar Airways have been put in jail. Also, it’s worth bearing mind that there are certain types of smoke detectors that can pick up vapour. One of the airlines provides an e-cig which does not produce actual vapour, but it’s not supposed to very good. Funny thing is that the very first time I saw a e-cig, was on a japan airlines long hall flight to Europe , late in 2007, there was a man across the isle from me using one (a early cig alike type), and I think I was the only person to notice- every body else was asleep. I have seen (and tried) those too, JAL flights had a supply of these smokeless but flavored (menthol or regular) e-cigs and were given free to smokers who cannot wait until the plane lands, and that a single stick could last you the entire trip. Do you know what kind of smoke detectors? I ask because a detector that did readily react to small traces of non combustion vapours, in general, would surely go off quite often- for example many asthma inhalers have similar compositions. The state government of NSW , seated in sunny Sydney, is currently doing some laws re e-cigs, while sales to minors will be rightly banned there will be few other restrictions, although the labor and green opposition would like to ‘amend’ the act – the government only needs one extra vote in the upper house to pass any legislation. Thankfully the NSW government is a centrist community minded, pragmatic liberal conservative government focussed on big issues and not on moralising. while it is best not to count chickens, if the legislation goes through it will mean that other states with draconian restrictions : WA and QLD will be simply losing business- sales ,employment and taxes to NSW. The rules hadn’t been made then! Import & use is NOT banned in Mexico. Also they can be purchased here, legally – although their popularity with the public is rather small. Hi Marky, I’ve certainly heard of people having problems. This tends to be with the more unusual looking devices and in airports in countries where ecigs aren’t usually used. Hello all! I’m a travelling vaper currently exploring around the philippine archepelago and my experience here has been very good, if not totally incredible! I was fortunate to have found a vape friendly family place in pasay that really broadened my vaping experience, introduced to the local vape community where i was floored by the best box mods and atomizers I have ever seen, many designs and materials…and ejuice flavors that that are way advanced and complex compared to europe, nicotine here is legal and public use is generally fine if one is discreet, oberving etiquette as one with cigarettes, I never had issues… Vaping conventions showcase the best of their thriving industry. and was amazed with the quality of the builds and designs. Talking to vapers here, I learned that the best atomizers and mech mod designs are actually philippine origin, the chinese clones take advantage of their mass production facilities and weak patent laws to cheaply produce copies of these, albeit illegal and to the detriment of the original forerunners in this field. One designer told me he emailed a chinese company with CAD designs, with the intention of producing 100 prototypes in china but they replied saying that they would only do a minimum production run of 10000 or more, which the designer being on a limited budget could not afford. He put it off, opting to produce small limited production locally instead, but lo and behold, they produced them anyway, having unwittingly given them the designs! The big difference aside from price and origin is in the build quality compared to the originals, which are now run in limited numbered series and depend largely on the pride of having a real one, not a cheap knockoff. They were however forgiving of my first knockoff purchase when I first arrived, shrugging it off as an intermediate vaper experience. They have in turn taken to pushing the design envelope, keeping ahead and moving forward. I would say based on my experience, it is the hands down best place/ stopover in the world for travelling vapers to upgrade and source devices and ejuice from. The people are very friendly and the best diving and off road trail biking in the mountains and the island beaches can be found in asia, and now I have discovered, the center of vaping as well. Thank you, that’s a fascinating story, although very sad to hear about Philipinno inventor’s have their patents ripped off! I hope you enjoy the rest of your travels. Malaysia is still legal today but for air flight carry better put the battries in the check in luggage. Eliquid with nic is still legal and not banned YET…still debating on them. Import for business and own use is still allowed here. There are many shops of vaping blooming through out Malaysia and dun worry if you have forgotten to bring your eliquid along…there are plenty of flavours here to choose from. If your mod got confiscated at another country before arriving in Malaysia…dun worry there are plenty of Mods for you to choose from. The BAN is still under debate and a decision has not been made yet till today..therefore it is Legal in Malaysia as of today. Source: Living and vaping here for more than 6 years till today. Any changes in the future I will update here. cheers and vape on.. Yes, unfortunately MENA (of which Qatar is a part) does not allow the sale of e-cigarettes. I need some help and advice please. I am travelling from Heathrow on Qatar airlines to Doha, Doha to Johannesburg, Johannesburg to Windoek on a Safari holiday for a month and I am now panicking about my e-cigs. I will be taking 2 Innokin Cool Fire IV Plus batteries, 2 tanks and replacement bvc atomizers and my own home-made e-juice. Should I pack the Innokin’s in my hand luggage with the e-juice (approx 150ml – 200ml e-juice – which will be in 4 x 50ml bottles). I intend to buy approximately 4 disposable e-cigs to use before getting to Windoek – will I have a problem taking those in my handbag? I do realise I cannot use e-cigs on the planes, but maybe at the airports. Doha is may major worry at the moment as I don’t want to be arrested!!! Your thoughts and comments would be appreciated. Thank you. I just spent 28 hours in jail for vaping on a qatar flight. The smoke detectors definitely detect e-vape. It also got me banned from the airline (it was on the first of 4 flights) and so I had to buy new plane tickets. Worst experience of my life, actually, just avoid that airline, that airport and that city…. While I was in jail I could meet a lot of people who got arrested for yelling at a taxi, kissing in public, sending sweet sms, smelling alcool in the street & so on. If you are not a Quatari person, then you are a Quatari slave. Never in my life I witnessed such hate against foreigners. There are no laws to protect visitors in this country, no phone call, no layer, no embassy, it’s is an insult to human rights. Denmark – E-cigarettes with nicotine are classified as medical products – companies must have authorization before selling. Importation of nicotine refills for personal use is permitted. This is, thank god, not the actual situation in Denmark. Selling e-liquid with nicotine is forbidden BUT all shops are doing it. We have hundreds of ecig-shops in Denmark and no rules have been applied yet for this business. A law proposal is in the process, but 270K vapers in Denmark are trying to be heard as it happens worldwide as well. Worst case scenario is the information you have already published, vape regulated as cigarettes. BUT not until November 1st. 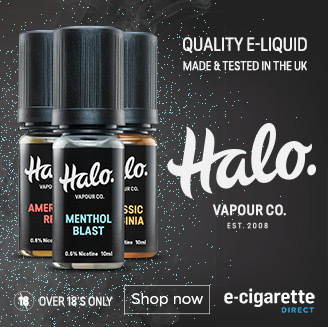 I’m going to VapeJam UK in May 2015 (YaaaaY) and I have some concerns about bringing e-liquid home – meaning, will I experience problems getting through check-in in Luton on my way home? I can’t find the rules at Ryan Air’s site. Question: Can I buy fx 10 bottles of e-liquid in 30-50 ml size and bring on the plane or should I post them from a post office in London before flying? Is there a maximum for total liquid in your bag? Each bottle will be less than 100 ml and sealed individually in flight bags. I’m only flying with “hand baggage”. I’ve never had a problem carrying e-liquid with Ryan Air, although I don’t think I’ve taken 10 bottles through before. Bear in mind that it is the aiport security which will be checking your luggage, not Ryan Air. So as long as your e-liquid (and any other liquid) is less than 1 litre you should be okay. Yes, I know it’s not Ryan Air, just thought I would find the rules in general at their site. I am sure I will buy lots of fantastic e-liquids at VapeJam, there will be a serious arsenal of brands and flavours at the expo. And if I keep 1 l. in mind as total maximum, I can shop crazy. You should check out the exhibition. We have people going, but I will be stuck in the office. Have fun! E-Cigs are fine in Italy but there is an 80% tax (including VAT) . It seem the Italian government are more interested in bunga bunga parties than cancer. Although I understand the tax has just been declared unconstitutional by the Italian constitutional court. Im from Bangladesh using e cig for few months now. People dont much know about this. most are unclear about its affects. so my country has no law about this. Police and law officials can ask what it is but after explaining they let people go some exceptions are there. paying around 10% customs allow the imports normally. I haven’t used it in airports to fly out of my country but domestic flights allow carrying the mods. I would liked to know if anyone from India is here because I go to India is there any issue in the airport if i carry e cig with me in the flights? Singapore Airlines specify on their website that a personal vaporiser/e-cigarette must be carried in HAND LUGGAGE ONLY. However, I understand that these are banned in Singapore and as we are travelling to Australia through Changi Transit, will these be confiscated and/or will I be fined? Please note that I would not use such devices other than in designated smoking areas and would not even do that if they are banned locally. Thanks for your reply. I emailed Singapore Airlines and then Changi Transit who checked with their security services and both say that there would not be a problem. I will however double-check this closer to my flight as it is 7 months away and rules/regulations could possibly change. If I do encounter any issues I will most certainly send an update. is it illegal to bring ur vape to qatar? Unless things have changed you are not allowed to vape in Qatar. I’m unsure about whether you can currently take your vape – I’ve seen conflicting reports. Hi. I am planning on going to Cyprus next week, and I would like to know what the situation out there is now with e cigs. I have seen many different sites claiming it’s fine and also some saying it’s not. Can I get some clarity on this as I don’t want it to be confiscated or get a fine. Most of the articles I’ve seen are out of date so any help on this issue would be greatly appreciated. Last year I went to Macedonia and there are e-cigarette shops there, and I saw some people vaping on the streets, including myself with no problems or questions asked. So the unclear can be changed to legal ;). Hi guys, I’ll be boarding my first flight in about 12 years tomorrow morning and I’m a bit concerned about flying with my e-cig (Which I’ve been told looks like a pipe-bomb multiple times.). This guide has been really helpful for the most part, but can anyone confirm whether “2 spare batteries” means 1 in the device plus 2 extra or would it be smarter to remove batteries from my mod? It’s generally considered wise to remove battery from mods when travelling. eCig is legal in Malaysia but not permited. And more new vape shop are open and increasing each day. All vape shop are not allowed person below 18 to enter. Do you mean illegal but permitted? I’m a Malaysian and i can confirm that vape is legal here though it is being debatable at the government level. I traveled to Jakarta last week and had no problem at the airports of both countries with my mod and flavors in my hand luggage. However I did not see anyone else vape in Jakarta nor any vape shop. I only vape where it is permissible to smoke to avoid trouble. I understand there has been a crackdown on sellers in Indonesia recently, not sure about people actually using them. Many thanks for all the useful info and your passion for this great technology. Travelling to Bali shortly… Do you have additional info about this crackdown? Source? So, did the law change there or is the above still valid? Sorry, Mot, I have just returned from a surfing trip to Indonesia and was told that shops had been stopped from selling, not sure how reliable the info is. I didn’t see anyone vaping but did not visit Bali. I know originally ecigs had been banned but were allowed for personal exportation and that later on there was selling going on (not sure if it legal or not). Thanks, James. Did you vape publicly, stealth or private? Or an appropriate Mix? Just another one from Dubai. Earlier this month, I had a long layover in Dubai and I had two e cigarettes, one with liquid and one without. The one with liquid I chucked the entire thing with the liquids I had and it was confiscated. That wasn’t an issue until they photographed my passport and boarding pass along with the e-cigarette. Just letting others know in case they get into trouble! However, the second battery and the attached empty clearomiser which was in my bag went through without any trouble. Not sure what to make of it. Update as of 19th August 2015 for Malaysian Laws. Vaping community is growing like a wild mushroom here. But the government is planning to apply the e-cig act which will have a 6% tax on every e-cig product sold in the near future. It’s safe to say that you can at least find 30 to 40 Vape stores in each state but fewer stores in Kelantan, Terengganu, Perlis and Kedah. Vaping stores do not entertain underage people at all. The community is driven by two types of group, stores and runners/resellers, stores basically sells anything related to vaping such as mods, e-liquids, spare parts, tools and such whereas most runners/resellers only sell e-liquids and mods but they send it to you via COD. If you’re planning to visit Malaysia soon, i suggest to not bring much liquid because you would want to try our local brewer’s liquid. You can find hundreds of different e-liquids made by local brewers. Be sure to try at least one! For now, vaping in Malaysia is openly accepted and you can see 4 out of 10 people vaping. Last but not least, Vape on! Hi, I’d like to know if there is a limit to how much e juice I can bring in to the UK? I’ll be checking it in of course, but will it be possible to bring like 20-30 bottles of e liquid through airport customs? I’m not aware of any limit – let me know if you find anything! Traveling via KLM to Dubai and i have kangertech vaping kit 1 for me and 2 pcs for my friends and i will be carrying 9 bottles of juices all in 30ml. I know that the security in dubai is very strict about these things as i am lovong there. I am planning to scatter the parts of the vape (the mode, tank and the battery) on my two checked in luggages. Is this a good idea? And should i put the batteries on my hand carry? Is there any chance that will still find out about my vape and the juices? Do you have any other recommendations? If its banned in UAE, how come there are shops who can bring supplies of vapes? How they can pass security in dubai? I hope to get a more info. Just some precisions about the situation in Switzerland. Importation of nicotine containing cartridges and e-liquids for personal use is subject to conditions. The current rule is 150ml by period of 60 days without limitation of nicotine level. In real life, the rule of the 60 day period is never applied by Swiss customs (it would suppose to keep records for each vaper). So the applied rule is 150ml maximum for each importation. The use in public areas is currently not officialy regulated. Each owner of an area can decide whether or not it authorizes vaping. It is therefore better to ask before trying to vape in a public area. Helpful hints, the federation of public transport has banned the use in all Swiss trains and tramways. Thank you, Olivier, I have updated the information for Switzerland based on your feedback. Hi James, I am flying to Bangkok tomorrow and planning to take my Smok M80 plus in checked luggage. As it has 2 fixed 18650 batteries, is it gonna be an issue? Or should I carry it in my hand luggage? Thanks in advance for you suggestion. Hi I will be going to Phuket in Thailand in January, first do all batteries need to be in hand luggage ? and is it legal to vape there ? gone 6 months without a ciggy now so don’t want to go back to it. Hi Gaye, yes, batteries are supposed to be carried in hand luggage, although e-liquid can go in hold luggage. The last I heard (these things changes) e-liquid could not be legally imported but is fine for personal use, my understanding is that you can’t import to sell but you should be fine taking a few bottles for yourself. I’ve heard of the ban scenario in Singapore, but unsure if I can just take my e-cig & some juices with me through airport customs then onwards to Jakarta. I am leaving Malaysia which I know technically has no laws on e-cigs yet so I can take it leaving the country. But it is entering & leaving Singapore, then entering & leaving Jakarta before returning to Malaysia again that I am worried about. Hi Robby, despite many visits I have never had a problem either taking or using e-cigs in Indonesia, even though it is officially banned. I know Singapore has a ban enforced by a fine on usage, but I haven’t heard of any problems people have had with transit. I traveled to Hong Kong a few weeks ago and didn’t have an issue with my e-liquid but now I’m concerned what would happen when I go through security to go home to the U.S. Do you have an update on e-liquid in Hong Kong? Should I throw my e-liquid away? Hi Alison, Although officially illegal, I haven’t heard of people actually having problems in Hong Kong, and the only arrests I am aware of have been for actually selling e-liquid/ecigs. Our staff have travelled back from China via Hong Kong with e-liquid and not had a problem. However, it might be worth checking with your airline before flying! Thank you for your quick response. I just want to get home with no issues! I’m travelling from Hong Kong to New Delhi in India with a sealed box of istick pico 75 kit. Would that be any problem ? Also , please advice if I can take the coils and batteries or not. i am planning to fly to Germany with connecting flight in Dubai. I am planning to carry my e-cig bag in my hand luggage, which contains: 3 bottle 30ml Liquid, 1 Box Mod, 1 Mechanical Mod, 5 Li-Ion 18650 batteries, and maybe some coil. Can i pass the security both in Dubai and Germany? Can one person bring 5 Li-Ion batteries in hand luggage? or should i put all in checked baggage? Thanks. Batteries have to be carried in hand luggage. Germany shouldn’t be a problem, but you could have problems in Dubai! Hi.I am vapor who live in Japan. I wanna add Japanese vape tips on this page. Foreigner can brings E-juice(includes Nicotine) up to “120” ml. and If you wanna bring Non-Nicotine E- Juice,you can bring it as much as you like. I hope this comment help for the vapor who are planning to travel to Japan. I travelled to New Zealand from the Uk last year, via Dubai, Singapore and Sydney. The only problems i had were in Singapore where they tried to confiscate my equipment. I told them that they were batteries (I had broken my device down into parts and hidden it in my hold luggage). They let me off with a warning (and my batteries) and told me not to return to Singapore with them again. Thanks for the update, Fig! I have a question. I am going to Cancun for vacation in a month and need to know if I can carry my IPVD2, tank and e-juice with me on my carry on? I’m kind of nervous as I don’t want any problems so if you could please let me know what I can and can’t do I would greatly appreciate it. Hi Yvonne, I believe some people have had their e-cigs confiscated in Mexico, but don’t have in-depth knowledge, I am afraid. Hi! Do you have information about the penalties for bringing e-cig in Qatar? Hi Mica, Last time I checked it was illegal but Qatar used to be quiet lenient (as long as it not used on planes!) Not sure what the current situation is. Any updates appreciated! HI james, what do u mean about heavily tax in korea? I’m going korea this may, and im quite worried that i will get tax/caught by the custom. Questions, how do we bring e juice? Should i put inside luggage or my bagpack? Hi James , I am curious about Korea. What do u mean by heavily tax? Will I get any tax if I bring my e cig to Korea for holiday? I’m going this coming June for my holiday vacation. And questions, how do we bring our e juice along? Should I just hand carry it? thanks ! Alright thanks alot james! Changed my location to HK this upcoming holiday, Is it legal to bring E cig to Hong kong? And I’m bringing zero nicotine e juice to travel with me. Hi All, I am travelling to the Maldives via Abu Dhabi airport with only a couple of hours wait in the airport to connecting flight to Male Could anyone advise me of the best way of travelling with our vape equipment as I am getting thoroughly confused by it all! We will not be vaping during the journey but just want to know the best way to travel with it without getting in to trouble!! Thanks in advance. Hi Zoe, e-cigarettes are not legal in the UAE. However, all the problems I have heard about with e-cigs in airports seemed to have emanated from Dubai – I haven’t heard of any travellers having problems going through Abu Dhabi. Am from kuwait they legally allowed importing and using in Kuwait since March, will plan to travel to Dubai next week not sure is it allowed to bring it to the country, am not bring a mass items just something to last me through the stay, mod, tank and 1 e liquid 30 ml. Any new update about the laws ? Good to hear Kuwait is moving forward though! Just called Dubai airport call center unfortunately it’s illigal, I mean I respect but oh cmon am trying to cut the shisha ? Hi James, I am very curious that where should I put my e juice ? Should put inside checked in luggage? I’m travelling via air Asia X from Malaysia KL to Seoul , Korea. I can`t believe how many countries have issues with E Cigs when they are much healthier than smoking regular cigs !. It is probably the powerful tobacco companies giving the governments a backhander to ban and restrict E Cigs as they know that smoking is a dying habit. Can anyone confirm the maximum amount of e liquid that can be carried out of the uk in checked in luggage? I just ordered 180 ml of rocketman and 120 ml of vgod dewbie and 3*30 ml of maggo er boba liquids to carry. Will Transit be an issue as i am not carrying any mods, devices or batteries? Just these liquids to use back home in bangladesh. Any tips and advises will be much appreciated. Thanks James. No i wont be vaping as i am not carrying any of my mods with me. Infact i didnt bring any when i came on my visit to the uk. Just buying 300 ml of juice since its cheaper here than back home. In addition to my last post, I will be in transit in doha enroute to dhaka, bangladesh. Hello, I am travelling to Spain via Dubai/Doha next month. From what I see, Dubai is a no go in terms of traveling with E Cigarettes. Is Qatar any better? Hi G, while it’s some time since I have had heard any news from Qatar, they generally seem to be more tolerant than Dubai. However, do make sure you don’t vape on plane – several people have had jail time because of this! can i carry my e-cig on plane in carry on luggage just 1 mod and 1 BATTERY and a small bottle of fluid .?????????????????? Hi Abhyuday, you’ll probably see from the comments here that vapers experiences with Dubai has not been great! I’m off to Turkey in 3 days. Any advice on whether I can take a mod or 2 & some batteries would be appreciated. Hi Matt, haven’t had any updates on Turkey for a while, I am afraid. I had my ecig confiscated on arrival at Qatar airport last week, I was able to get it back on exiting the country so to avoid a week without my ecig I booked myself onto the next return flight to Bahrain and managed to get through customs without any problems the second time. I travel to Qatar every other week and usually keep my cig in my pocket but on this occasion I left it in my hand luggage. If you are going to Doha airport I suggest you keep your ecig either in your pocket or in your checked in luggage. Other than at the airport I’ve never had any problems vaping in Qatar but be warned this country will put you in prison for anything! Thank you for the info, will update the post! I am also travelling in some days through qatar to india , i want to take vape kit & vape liquid with me. Can u suggest me something for that , how can i take it with me.???? Please. Hi Harman, e-cigs are banned in Qatar I am afraid, although I have never had a problem having them during transit. My friend is in china and he is willing to buy a vape and soon he is coming to pakistan ,and wishing to have it with him ,so are there any security issues in china /pakistan airport if any so let me know and how should carry it with him ? E-cigarettes are not banned in Lithuania and never were. I have read that Ecigs are to be confiscated in Dubai even if you’re just passing by (Connecting Flight to anywhere where Vaping is legal). What can we do for our Ecigs or mod not to be confiscated at the airport in Dubai? Hi Gary, it’s an issue which has been reported multiple times. Might be best looking for an alternative route! In reality, people very rarely get arrested but it is possible. If you get arrested you will most likely just have to pay a fine and possibly have your stuff confiscated, but prison is a possibility. I spoke to a police friend of mine and he said the police don’t really care about e-cigs but if someone makes a complaint then the police are duty bound to investigate. He suggested that I make sure I only vape in places where smoking is also allowed. I follow that advice and have never had a problem, even vaping outside of a police station. The coppers are more than curious as many haven’t really seen e-cigs before. Also, getting -cig stuff mailed from abroad will most likely result in confiscation. Not sure about walking through customs at airport though. Just be careful is all i’m saying. I walked through customs with an ego style vape Jan 2016. I Separated the battery from the tank so it didn’t look strikingly obvious in the scanner, however fortunately if my memory serves me right my carry on luggae wasn’t even scanned. Regardless I got through. Am going again tomorrow but this time won’t be taking it, just to risky. I’ve seen the way Thai police treat suspected criminals and actual criminals just not worth it. i visited thailand in january/february 2017. i packed one device, batterys , 100ml of juice and charger to takeaway case and put one device and juice to my small bag. nobody was interested anywhere (leaving from Krabi then i had to take out my batterybank only). luggage was scanned everywhere atleast once. Can anyone tell me what size battery you are allowed at Gatwick airport and on easyjet..I have been told that you can not take a Innokin Cool Fire IV 40W as it is to big.. any ideas? I am not aware of any restrictions on e-cig battery size. However, it is possible this has changed since we last researched it. No mention of size seems to be mentioned on their websites however you are only allowed a maximum of two spare batteries. The Dominican Republic (horrible place) will allow you to vape while you are in the country but will not let you take them home with you. They will empty your bag and throw it in the trash in front of you with no explanation whatsoever. Horrible experience from that trip! uh-huh, better to check with the airline company before get aboard. I have recently flown to a few spanish/catalan Ian areas and have had no issue getting my ecig across. When travelling I took my rather large box mod and 100ml liquid (in a clear bottle) and was absolutely fine. My recommendation as mentioned above, atomisers/rta’s can leak. Before I boarded I emptied my tank into my bottle and refilled when landing. I have experienced leakage despite closing off air valves on a few trips until I tried this. All I did when touching down before getting off the plane was fill it back up again, problem solved and no need for carrying around tissues or kitchen roll. Germany and Bosnia are my routes so in case of these two countries no issues with cig or liquids. I did packed some liquids but in hold luggage and two e cigarettes in hand luggage. Bosnia is not EU membercso it’s TPD free country where you can buy e liquids with nic and devices online and in shops freely and legal. There is smokin lounge on airport where is allowed to vape. And smoking isn’t anyway problem in bars and restaurants so vaping is permited 2. In Germany I vaped in restaurants and coffee shops without problem though a bit stealthy. – Passengers are not permitted to use electronic cigarettes within our premises. Where you are intending to carry cigarettes in your hand luggage, please check with your airline to ensure they are allowed on board the aircraft. I double checked with security when I got there – obviously explaining that they weren’t covered by existing legislation, and got told in no uncertain terms “not allowed indoors”. One problem is there is no legislation covering e-cigs in airports, so each airport can have it’s own rules. Heathrow used to have a vaping lounge – not sure if this is still the case? I’m from Bahrain, It’s legal to vape here in Bahrain and also purchase.. but we still don’t have official shops. I’m travelling to Switzerland for 1 year “for studies”, I just wanna know the amount of e-liqued that I could take with me. That’s interesting, I’d been told it was banned throughout MENA. One of our readers has reported there is a 150 ml limit on e-liquid coming into Switzerland. Just a heads up… A recent notice (still printed on paper and stuck to the check-in desks) at Exeter International Airport, Devon, UK, state that vaping liquid bottles are not permitted on any aircraft, only the liquid that is already contained within the e-cig itself can be carried. This appears to include checked in and hand luggage. I don’t know if this has come into force in other airports or not. Thanks, Chris, first I had heard of it! Will have to investigate. Seems as Exeter is flybes base they can have whatever laws they want, was wondering if people had any issues flying with Flybe from other airports? Like Cardiff? I think I might put some in my checked luggage in with wash kit/shampoo/shower gel and all that stuff. Hi. Just wanted to provide a quick update for you folks on Malaysia. Vaping is only banned in 3 states. Melaka, Johor and Kelantan. If you plan to visit any of the 3, don’t vape in public places. In hotel rooms and in the car will be fine. All other states are fine and there’s currently no legal issues. You may however be accosted by authorities when vaping in public at no smoking areas. They count both as the same thing. Supplies are still in abundance although not as prolific as late last year. In fact, for some coming from countries like UK, US, most parts of EU and even Japan, I recommend you not to bring anything since you can get most of the latest gear here for way cheaper than back home. About half the price – maybe more! In Liechtenstein the situation is the same as in Switzerland, you can vape where it is allowed to smoke. There are no vape shops in Liechtenstein (only online) but the sale of nicotine containing cartridges and e-liquids are prohibited. The import of nicotin containing liquids for personal use is subject to a maximum of 150ml (no limits on nicotine level). Im traveling to Australia and i have transit in Singapore. I know that e-sigarettes are ilegal in Singapore but if I put it my bag that I’m going to check in will it still be a problem. Becaus in that way I can’t acces it so you would think it would not be a problem. Btw I live in Belgium I’m traveling to Australia so Singapore is just part of my stransit and that is the only country where I would be in trouble with it. So I don’t know what the best way is to transport it without it been taken from me. Help guys! I am at Heathrow travelling to India via. Muscat I have all my e-cigs and lithium batteries in my hand luggage as the good man at the check-in informed me to remove them from the check-in luggage and put them in the cabin luggage. What I forgot to ask was what to do I OMAN Muscat where these are banned. At most and I dread to think it, that would happen is I’ll loose all my batteries and would be left with 100 ml of eliquid which would be part of the check-in. Anyways, thanks for this article. I’ll do my part and update about OMAN as I didn’t find any travel anecdote regarding travelling via. Muscat. I noticed that your article was updated on 20th Sept 2016. On a recent trip from Heathrow terminal 5 (16/09/16), i found out that i cannot use my e-cig in the terminal building despite having done so a year before, at terminal 3. When you look at the Heathrow website, now and on the 16th itself, it says categorically that “Passengers are not permitted to use electronic cigarettes within our premises.” This is a real blow and clearly someone has done some lobbying to force the change at Heathrow. What’s more interesting / confusing is that the Gatwick airport’s website says that you can use e-cigs at Heathrow and that, like you have mentioned in the article, Heathrow has a vaping lounge (in Terminal 4). I was told by Terminal 5 staff that this isn’t true. To top it all off Heathrow staff themselves are baffled by whether you can use e-cigs or not. Are you able to find out, one way or the other, what the actual position is at Heathrow? Interestingly at Dubai airport you can use the e-cigs but only within their designated smoking areas. If you use them anywhere else i was told, in no uncertain terms, that i would be shot first before they asked me any questions. Thanks for bringing that to my attention, Samir. Heathrow airport now categorically states that e-cigs are banned, and I can’t find any recent mention of a vaping lounge – presumably it wasn’t a success. I have updated the blog. Im going to North Battleford Canada this December. I just want to know if its legal to bring a two pieces of tube vape (e-vape) with its accessories, Where am I going to put it ,in my hand carry luggage or checked in luggage. How about its packaging,is it ok if i carry it as is or should i packed it individually. How about the e-juice,how will I bring it,through my hand carry luggage or checked in luggage,the packaging how will i bring it.how much juice is allowed to bring?What kind of juice is allowed with nicotine or without nicotine? Your immediate is much appreciated since it is my first time to travel with e-cigarette,I just want to make sure that I will not encounter any problem if I bring my e-cigarette.Thanks. anyone know if you can still vape in lithuania? Quick update about Turkey. It’s now banned in all smoke-free zones. Laws are still unclear. Carrying it or using in not prohibited but lots of propaganda going against it on media. So it’s usual to get weird looks or comments. Taking in or out of the country isn’t a problem as far as I know. Also selling devices and liquid is banned. There are no punishments related to this on paper but they give a tax penalty as far as I heard. Imported devices, liquids, wires, batteries, etc. are most likely to stuck at customs so black market is the only option. As you can guess it’s overpriced, there aren’t many devices around, and people making the liquids aren’t the most trustworthy. So I would visit prepared. And anyone planning to visit, please careful. It’s getting really dangerous. Thank you for the update, Amran, we’ve used the information to update the post. any tips iam flying with turkis lines to istanbul.. can i go with mod batteries on the plane?what about eliquid? Hi. I live in Italy and I live and work between the Modena and Bologna area, in a hospital, one of those public areas commonly banned, even in the perimeters or parking lots and common areas. I can say that here you can vape almost everywhere without any problem. I have vaped, after having asked permission, in few restaurants, bars and pubs. I just advice you to ask always for permssion. In fact in Italy, regulations and laws apart, and I think in the rest of the world too, people could react bad and even ask you to leave or insult you, if you start vaping thinking to be in your own living room while in their property. We are very polite and easy, but just with polite and easy people. And I usually vape my dripper apart, not in crowded area or within other customers, even if I could. Obviously it is banned in every place where it could damage other individuals liberties, like in cinemas and theaters, where you could disturb other people vision, and in the food selling area inside the malls, for sanitary reasons. And of course, even if it is legal to vape wherever outside hospitals, public schools and Universities, it is not possible, for obvious reasons, to vape inside these facilities. Think about the fog there would be in a ER or during a lecture or in a classroom. Private ed. institutions or private hospitals may have a different regulation on their properties. But, for example, I think/know it is permitted, or at least not prohibited clearly, to vape inside a hospital or school or public institution while you are doing that inside a personal room, like a personal office, that should not be a common area for anyone else, at least while you are vaping. Don’t be too blasé about Singapore in the article. I just had my 2 e-cigs confiscated on the way through Changi airport that they found from a scan of my luggage (official said he was not going to fine me this time). I was unaware of the ban and perhaps naive. Will be sure to be more informed travelling next time! Guys any update on saudi airport customs?i will be working in riyadh..some of them told me that for as long as it is for personal use it will be allowed how true is this?anyone who recently travelled to riyadh with vape gear?please update us..
Hi Holden, all we know at present is that it is officially banned. Would also be interested to hear any update! I’ll be travelling back to Australia from Philippines. And my transit would be Singapore. I have 4 sets of vape gears. I was just wondering if I would have any problems bringing them over with them being inside my check in luggage. I don’t have any e-juice with me. I am travelling from Sydney Australia to Hong Kong soon and after everything I have read on lots of sites I am still very unsure as to whether I can take my ecig with me. I am using greensmoke or similar batteries with Easypuff cartomisers. They DO CONTAIN NICOTINE. I just want to take 2 packs of cartomisers and some batteries and chargers. The packs have 5 cartomisers each in them enough for 5 days. Help please. Hi Diane, I can’t offer much more advice than in the post, I am afraid. People have travelled to Hong Kong with e-cigs without a problem, but we have to lay out the laws as they stand! Thanks James. Have emailed customs in Hong Kong. Hopefully they answer me soon. Just wanted to mention- I live in Massachusetts, and there is a ban on e-cigs anywhere smoking is. Some bars will choose to overlook it (the local bar chooses to pretend not to notice if the cloud isn’t big) but otherwise it’s pretty well enforced. New Hampshire has the same laws but it’s new and not as well enforced. Poland changed regulations on September 2016. Thanks, Michal, I have updated the post. I have read a comment about vaping being OK in the smoking lounge at Dubai airport. How do they manage to get them through security in the first place? Has anyone passed through Dubai in the last month with a connecting flight with Emirates to Mauritius or another other destination had problems taking e cigarettes in hand luggage? Any updates would be gratefully appreciated. I have checked on the Emirates website and it says that e cigarettes are permitted in hand luggage and this is Dubai’s main airline! I’m so confused as I not leaving the airport just connecting to another flight. Hi Sue, if so the policy has changed since we last updated this post! Back from Dubai transit. No problems, carried spare liquid in checked in luggage and one spare in carry on liquid bag. Separated battery from Innokin stick and placed in toothbrush case in carry on, with empty atomiser separate in handbag. Once in Dubai airport reassembled kit and had a vape along with several others in one of the the smoking lounges. 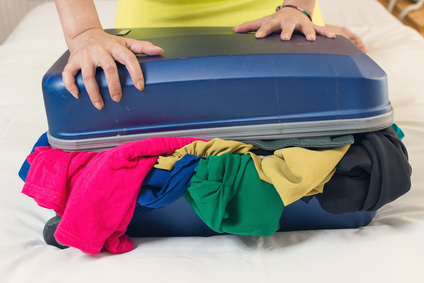 You might have trouble with carry on luggage as there is a limit to the amount of liquid you can take through – hold should be fine. Traditionally Australia has taken the view that nicotine containing e-liquid can not be sold in Australia but can be imported for personal use, so you should be okay. You can vape wherever you want, it will draw a lot of atention, but no one will lay a finger on you. Can u buy vapes at doha airport and vape there? Also whats the go with vaping in australia?? Hi Dan, last I heard e-cigs were still illegal in Qatar. In Australia you can’t legally buy e-cigs with nicotine but you can bring e-liquid with nicotine for your own use. There are some forums such as http://forums.aussievapers.com/forum.php where you can ask for info. i will travel to lstanbul around 29 april then Can i take my ecig to there and vaping on the public or i cant do that. At first it was said that new legislation/TPD would be implemented first of july. This has been delayed until the start of 2018. The only change in Norway this summer (1/7) is that its not allowed to vape where its not allowed to smoke. Have you any information for e-cigs being used their. Only correcting information here in Brazil is not prohibited but rather smoking in certain places but there will always be a sign saying that there is a smoking area. Legal permission, there is nothing hindering. So just do not go use indoors, and even then sometimes there are specific places or areas. I have never heard of anyone being fined for smoking where it is prohibited. there is always a verbal warning or some advice from someone close to you. Different from eg hookah/narguile/shisha. which is well accepted, even allowed in places where smoking can not. Like bars and nightclubs. So vaporizing in Brazil is something new, and so far well tolerated. Thanks, Alexandre. Do you have any links to an official position on vaping? Update on South Africa – vaping is huge here now, and there is no illegalities around nicotine juices. Hi guys. Anyone transited by Dubai recently? I am currently holidaying in Thailand and have just found out vaping is banned. Should I risk taking it home with me when I leave or throw it away. Thailand have been absolutely draconian in the past, and can get nasty – I would leave it there. Sorry! Great article but why the hate on Canada. We have regulations and are not against vaping. Hey Warren, there’s no hate against Canada 🙂 I’ve seen some pretty draconian actions by the Canadian authorities over the years, including seizing vape imports, and that doesn’t seem fair to Canadian vapers! If the authorities are loosening up that’s great news! My friend would like to know if its possible to bring vape in the hand luggage. He will travel from Holland to Spain(Madrid). Just want to know and make sure before he travel. I’m flying to Myanmar from London Heathrow. The Bangkok is the rapid transit and I am not literally entering to Thailand. Does anyone know can I still bring my vape in my carry-on bag? I am worried that I could get stopped by security during my transit at Bangkok Suvarnabhumi Airport and missed my flight to Myanmar. Thailand has some very strict rules on vaping and eye watering fines. You are travelling through a Thai airport, so there is a risk your devices could be found if you have to go through security checkpoints at Suvarnabhumi. Have you considered buying a vape in Myanmar? Ecigs are legal to buy and use there, and you won’t risk being delayed or having your gear confiscated. E-cigs don’t seem to be a problem on transit. Unfortunately, they didn’t go into my question about nicotine liquid, but I am quite confident now. I think I will carry the liquids in my checked baggage, just to avoid conflicts at the security check. Thanks for the update, Martin, let us know how it goes! Recently I took a 2 month holiday in Lebanon, Israel and Cyprus. Two days before I was due to leave I read that e-cigs are now banned in Lebanon so, as a committed vaper, I was naturally worried as hell. But after searching on the internet I found there are actually a few vape shops in Beirut so I emailed 3 and received a reply from one. The guy said that as long as I only brought a few juice bottles with me, showing that it was for personal use only and not for import, I should be alright. I asked if it was safe to vape on the streets of Lebanon and he replied that I shouldn’t have a problem. So I brought with me 4 vape pens and 9 bottles of juices and, to my huge relief, my luggage wasn’t searched at Beirut airport. I vaped on the streets everywhere and had no problems whatsoever. Most people didn’t bat an eyelid when they saw me vaping and the few who did react just asked curiously what it was I was ‘smoking’. So for Lebanon at least, I’d say don’t worry about their supposed ban. As for Israel and Cyprus, again there were no problems whatsoever there. In fact Cyprus is the most vape-friendly country I’ve ever been to since e-cigs were invented, with vape shops everywhere.